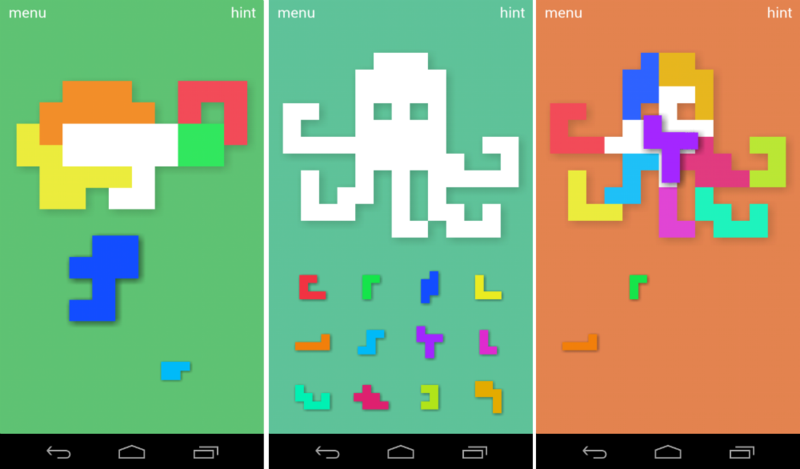 While downloading PuzzleBits, a new game on Google Play, I’ll admit I was expecting a somewhat childish puzzle game from the look of the screenshots. Once I got to the Octopus round (the second round), however, I could feel the frustration building up inside of me. Why I couldn’t easily figure out this silly animal puzzle, I will never know. Regardless of my inabilities, PuzzleBits is a light-hearted, yet challenging game from Noodlecake Studios, the same developers that gave us Mikey Shorts, Punch Quest, and League of Evil. In the game, you are given an outline of a thing – usually an animal or recognizable person – then are given a lot of pieces to fill the puzzle in with. It’s your typical, match this piece where it fits type of game. But as I soon realized, it’s not always easy to find where to fit your pieces. The game is completely free, and if you have more patience than I, go give it a shot. Monday Poll: If the Nexus 5 Came to Verizon Now, Would You Buy It?